Women Investing Foolishly: Spend part of your winter break at FoolHQ! If you’re a college student looking for an investment lesson from a woman who is buddies with Warren Buffett, The Motley Fool has an opportunity for you. You might not know it from watching CNBC, but women are better investors than men. It’s true — we’re wired for it. 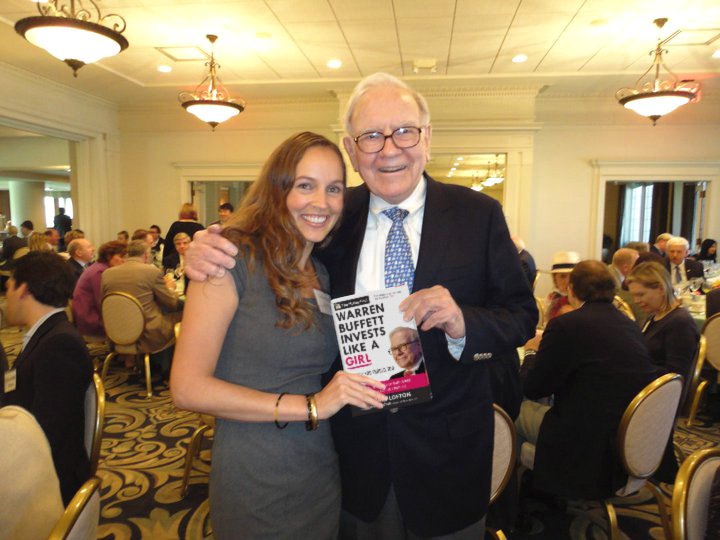 LouAnn Lofton knows that, and so does Warren Buffett — LouAnn is the author of Warren Buffett Invests Like a Girl, and Buffett is the master investor who inspired her on that very book. The Motley Fool wants to find the next Buffett … and we’ve learned that too few women get started in a career in investing. That’s why we’re paying all expenses for five young women who think they’re Foolish enough to invest “like a girl” and against the crowd. Our “Women Investing Foolishly” program January 6-8 at Motley Fool headquarters in Alexandria, Va., will feature classes taught by members of our top-rated investment analysis team; a lunch hosted by LouAnn Lofton; and (we repeat) all travel expenses paid. Apply here to tell us why you want to be there! No, I can’t pay full-service fees. Or in a Roth 401(k). Of Bogle, Graham, and Price. I’ll beat the market with The Motley Fool in its Investing Workshop. ‘Cause I’m a Foolish woman. ‘Cause I’ll know all the ways for multiplying my money. Let me get a big “Fool yeah” from the Foolish girls like me. Fool yeah! When they ask at Thanksgiving. No, I don’t need no Buffett brain to reach finance safety. I’d pay for my daughter to attend that. I assume 50 year old college students don’t count? Any chance you’d make the same offer to five not-so-young women who are interested in investing as a second (or third) professional career? Those with years of experience and LESS TIME to invest would be highly motivated to learn the business. One of the best ways to create wealth is to do what a rich man already done it. I just want to replicate what Warrent Buffet investment strategies are. I’m happy you’re doing this. There isn’t enough presence from the distaff side in the TMF world. I forgot to add some details to my application. Any chance I can send you by email what I forgot to add? Or is the deadline passed? I applied for this, and was wondering when the attendees will be announced. Does anyone have any information on this? I really would like to attend the program on January 6, 2014, from 6-8 pm. However, I need the address. Please advise to ollieadamsre@gmail.com or ollieadams@verizon.net I really would appreciate the reply. Thank you so very much . Today’s date is Jan. 1, 2014. Again thank you. Wish I would have entered this. What a fabulous experience! I am a relative newcomer to investing, but after being downsized and being able to retire from a large company after 22 years… I am enjoying Motley Fool and the world of investing. I believe as Mr. Warren Buffet does…. that women are the future of this country! And women are a big part of some of the stocks I have purchased that are doing very well for now and hopefully will continue. Fool on! Thanks Motley Fool for this opportunity for women…. Hope it will come around again!